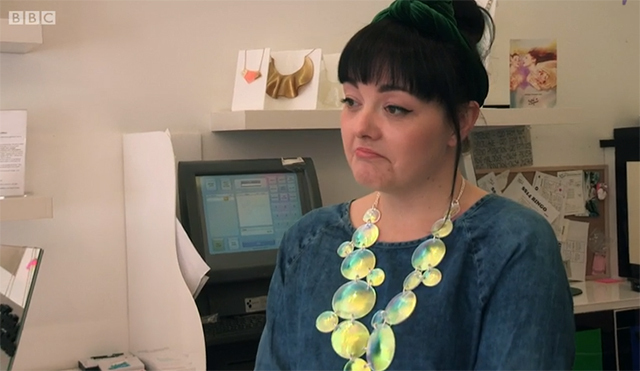 Tatty Devine stars on Don't Tell The Bride! 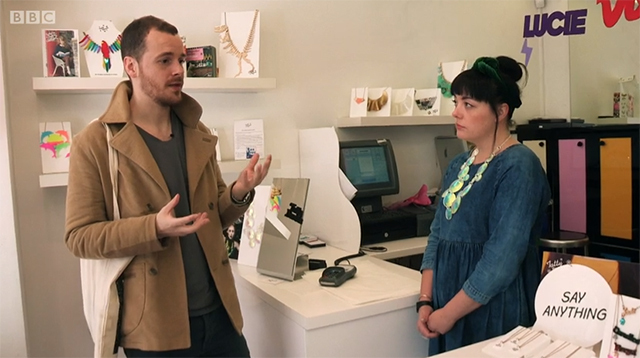 Did you spot our very own store star Katie on BBC's Don't Tell The Bride last night? Groom James' unsuspecting future bride Hollie left him to organise their wedding and the quick thinking fellow headed straight to our Covent Garden store to design bespoke Name Necklaces for the bridesmaids. 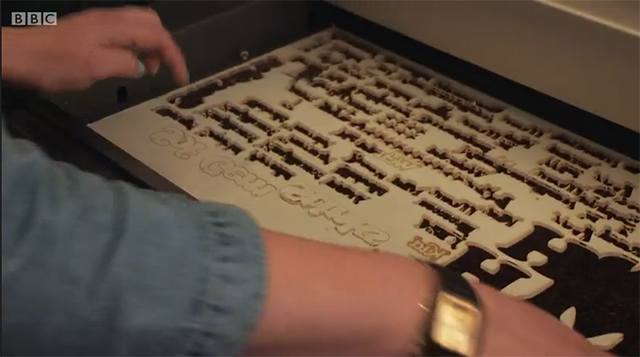 We love the idea of wearing Tatty Devine on your wedding day, but Katie wasn't too sure about making the nickname 'Stinks' for one of the ladies... Katie helped James choose the perfect font (ladybug) and shining Shimmer Perspex for the bridesmaids' Name Necklaces then set to work designing, laser cutting and hand finishing them on the spot. As James headed off to get on with the next stage of his wedding planning, Katie crossed her fingers and wished him luck! After lots of planning and a mini dress disaster, James and Hollie headed to the Bussey Building in Peckham for their wedding ceremony. 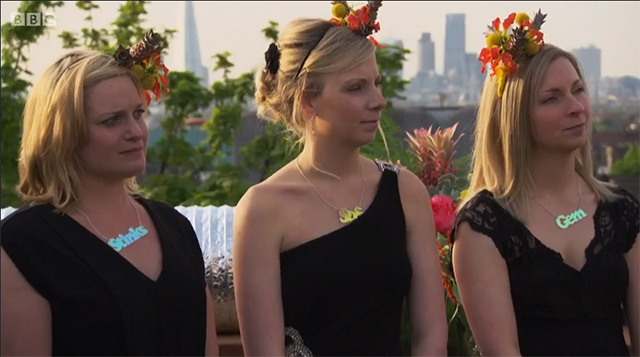 Don't the bridesmaids look lovely in their iridescent shimmer Name Necklaces and fruity headpieces? 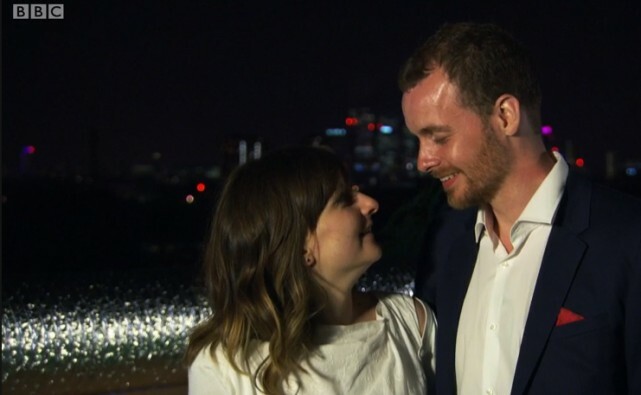 Congratulations, Hollie and James! Watch their episode online now. 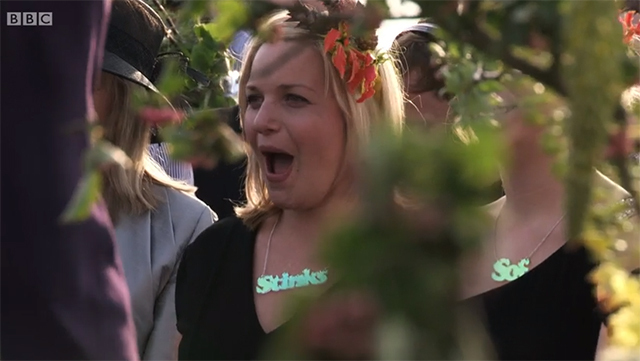 Fancy Name Necklaces for your bridesmaids? Enter the coupon code WEDDINGPARTY at checkout for 10% off when you buy 5 or more! Design your Name Necklaces now.